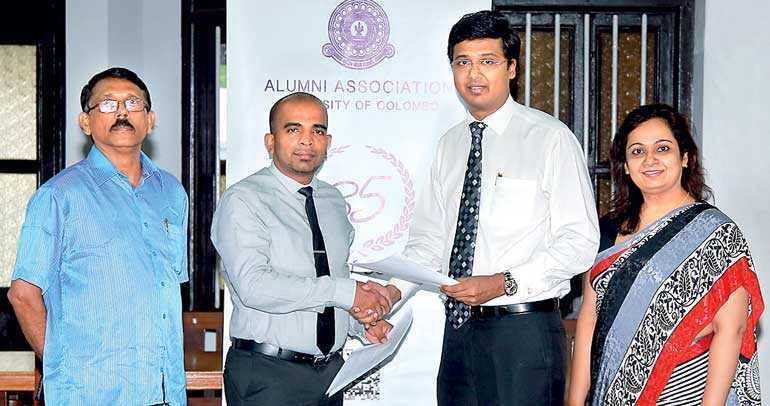 LOLC Group recently entered into a new MOU with the Alumni Association of the University of Colombo, extending its engagement with the University of Colombo Partnership Program for a further year up to 2019. The University Partner Program is an initiative of the Alumni to work closely with leading private and public sector organisations in order to provide opportunity for enhanced corporate sector involvement and support in the activities of the University of Colombo. Deutsche Bank AG, Sri Lanka, Nations Trust Bank and 3Cs are the other Corporate Partners, with many more in the pipeline. It is envisaged that as in the past year, this partnership program will provide further impetus to the Association to carry out its student development and welfare activities including mentoring, communication, soft skills and leadership programs, career guidance, inspirational talks, health programs and also member engagement and social activities. Under this partnership, the partner organisations have actively engaged with the students through mentoring and career guidance, which have led to remarkable progress in the students. University of Colombo Alumni President Rajeev Amarasuriya said that he was happy that for the second year running, this partnership program has grown from strength to strength, and there has been very positive feedback. He went on to state that, for example, one of the programs, which is a continuous leadership development program conducted by Nations Trust Bank in collaboration with Bridge Consultants under the partnership program, has resulted in a remarkable shift in the perception of the participating students towards the private sector, with many who participated already securing employment in the private sector. He went on to state that this was remarkable progress in the short timeframe of the past year and was hopeful that these programs could be conducted across the University.